I don't know about you, but life is so beautifully hectic in early September. As you can guess by my choice of vocabulary, I do love it. 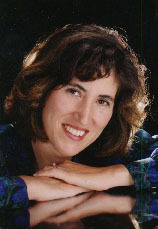 My 13 and 15 year old children are back to school and schedules and I am back doing what I love in full force - teaching piano and voice! Which leads me to this next lesson! This video is the part five in the continuing series on Building Spatial Awareness. This is, of course, a crucial element in playing the piano. You need to be aware of where your fingers are and where they are going, without looking down. Recognizing the notes on the page is one thing, getting your fingers where they are supposed to be is another thing entirely. It's all about your fingers learning the geography of the keyboard. All of these exercises are designed sequentially to build your skills so you can play music with aplomb (I don't think I've ever used that word) and fluidity. So, as I always like to say, let's dive in! 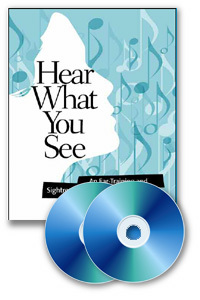 Ear-Training Program "Hear What You See"
It has arrived and orders are going out Tuesday, September 10th! I am very proud of this program. it will strengthen your ear, teach you important theory, and build your overall musicianship. That's all for now. Rest, work, stay inspired, and be good to yourself.